The 2010 World Cup really started off with a bang today. It was a great game between South Africa and Mexico. It's quite too bad that it ended 1-1, as Bafana-Bafana should have scored a couple of more goals. C'est La Vie (as the French would say after their 0-0 borefest against Uruguay)! The US faces England tomorrow and I'll be downing a few beers in a Brooklyn bar, with several of my good friends, and screaming my head off (of course). You can click here for the entire World Cup schedule. And do check out the video below. If that doesn't get you psyched, nothing will. Let's Go USA! Apparently, Ze Roberto is not coming to the NY Red Bulls. At the World Cup break, the Red Bulls are tied for first in the East with Columbus, although The Crew have a game in hand. In case you missed it, through an advertisement at the back of the Red Bulls magazine handed out at the Chivas USA game, the Red Bulls have promised a big name coming after the World Cup. Who on earth can it be? 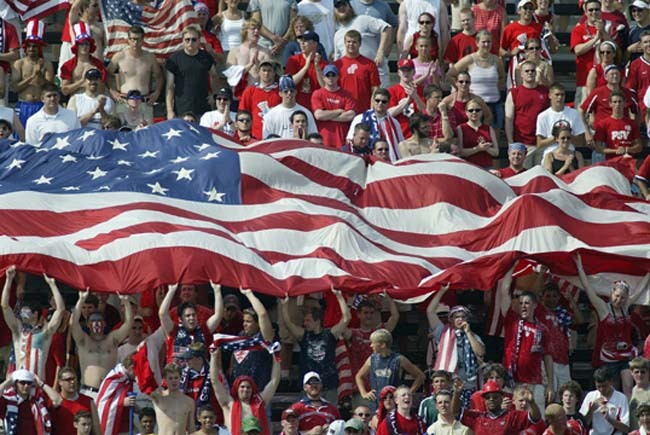 The Red Bulls will be hosting a USA/England watch party @Red Bull Arena. Mac Kandji, Danleigh Borman and Richie Williams will be in attendance.